This is an inconvenient smart home controller married to a poor-quality speaker. Amazon is enabling lots of other manufacturers to build their own hardware that taps its cloud-based digital assistant, Alexa. That’s a smart strategy if Amazon’s objective is to make Alexa ubiquitous in the smart home and home entertainment markets. 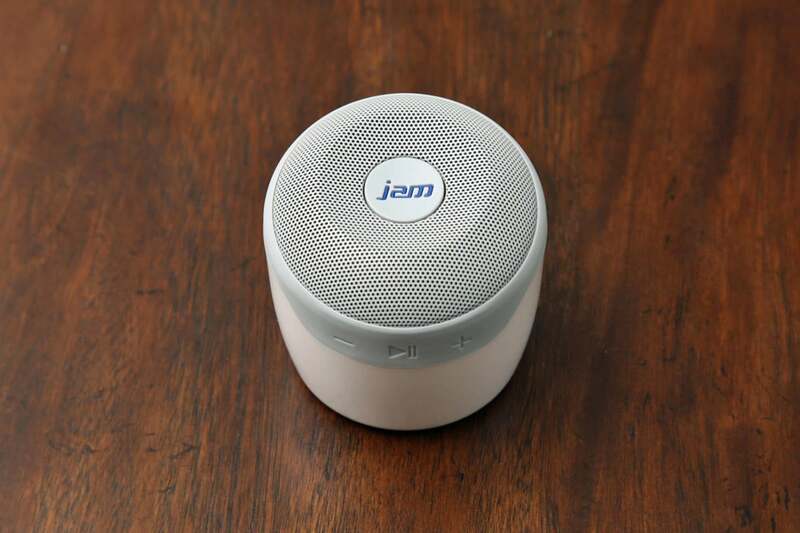 But the online retailer should also be careful not to allow too many subpar products like Jam Audio’s Jam Voice to be associated with the Alexa brand. Even after Jam Audio slashed the Jam Voice’s asking price from $79.99 to $59.99 in the wake of the $129 Google Home and Amazon’s own $49.99 Echo Dot, the Jam Voice is merely a so-so product. And in a market where the competition is so good, being only so-so is a big no-no. 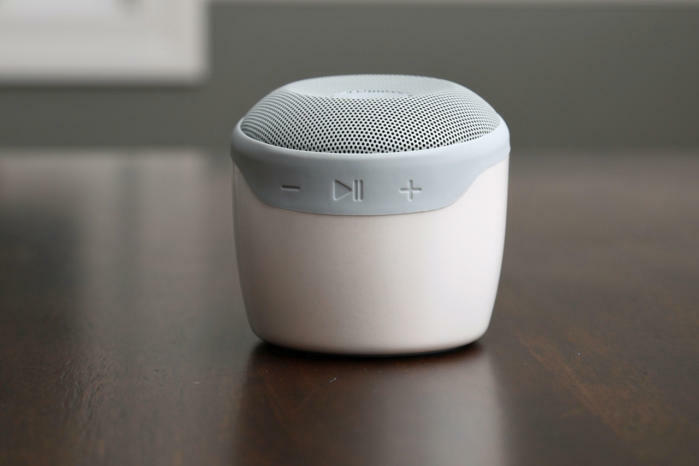 The Jam Voice is a tiny (3x3x3 inches) Wi-Fi and Bluetooth speaker with a built-in mic for communicating with Alexa. It’s smaller than the Google Home, Amazon Echo, and Echo Tap; larger than the Echo Dot; and more difficult to set up than all four. There’s a button on top for summoning Alexa, and three buttons on the side for volume up and down and play/pause. The muffin-shaped JamVoice speaker has play/pause and volume-control buttons on its side. You’ll need to download the company’s free Jam app (there are Android and iOS versions available) to configure the speaker. Once I’d installed the app on my iPhone, it directed me to push a hidden button on the bottom of the speaker and listen for some audio cues that would inform me when the speaker was ready to join my Wi-Fi network. I had to guess if the speaker was turned on, and the audio cues didn’t match what the app told me to expect. But after a couple of tries, I finally got the Jam Voice connected to my network. Being battery operated, I had to push the Jam button on the top of the speaker each time I wanted to get Alexa’s attention. Amazon’s own Echo Tap (which TechHive also panned) has a similar limitation. There’s just no way to leave a battery-powered device always listening for its wake word. Having said that, the Jam Voice’s mic reliably recognized my voice commands to turn my Philips Hue lights on and off and to adjust my Nest thermostat and various other smart home gadgets that I linked to my Alexa account (you’ll also need to install the Alexa app). No one should buy an Echo Dot to stream music, and the same goes for the Jam Voice. It sounds horrible at both the low and high ends of the frequency range, with distortion present at nearly any volume level. I couldn’t even stand to listen to audio books on the thing. The Echo Dot’s saving grace is that it runs on AC power, enabling it to listen for the Alexa wake word forever—there are no buttons to push unless you want to mute its mic or adjust the volume of its speaker. Jam Audio provides a USB charging cable with its JamVoice speaker, but you'll need to provide your own AC adapter. 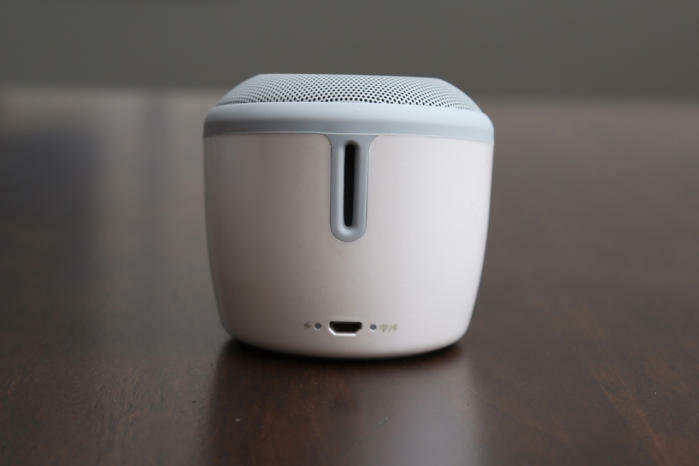 The Jam Voice’s ability to connect to other Jam Audio speakers in multi-room configurations might be a plus, but I don’t know how well the company’s other speakers perform. The same goes for the Jam Audio app’s intercom feature, which lets you record 30-second messages that will be played on as many of your networked speakers as you select. That could be great for calling the family to dinner or reminding the kids to finish their homework. Jam says you can expect the Jam Voice’s onboard battery to play for about four hours on a full charge, and I found that estimate to be mostly accurate. It would sometimes conk out at about 3.5 hours, but it lasted more than four hours other times. Still, four hours isn’t all that impressive. I’ve seen many other battery-powered Bluetooth speakers last much longer. The Jam Voice comes with a USB power cable, but you’ll need to provide your own AC adapter. If you’re looking for an inexpensive Bluetooth speaker, there are too many better alternatives to name. If you’re looking for an inexpensive path to Amazon’s Alexa voice assistant, pick up the second-generation Echo Dot. The Jam Voice just isn’t a good product on either of those scores. The JamVoice's speaker is better than what you get with an Amazon Echo Dot, but that benefit is negated by the need to push a button to summon Alexa.